For buyers who want something unique that is not an antique stone house, Bucks County has its share of interesting housing stock. Let’s look at a few engagingly uncommon listings that are now on the market in our corner of the world. All are priced at less than $700,000. 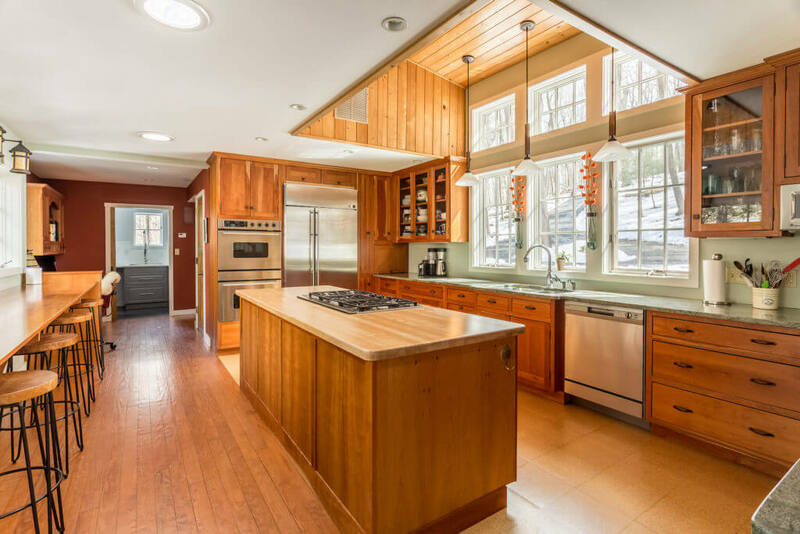 The party-ready kitchen at Creekside Cottage is open and airy, thanks to its roof dormer and clerestory windows. Creekside Cottage in Tinicum Township is on 1.85 acres off a private lane. This early 20th-century cottage overlooking the Smithtown Creek is now an inviting Arts & Crafts-inspired residence with a beautifully designed, open kitchen, a deck private enough for some skinny dipping in the hot tub and a classic stone fireplace for winter days. Listed by Michael Strickland and Tim Shannon and offered at $599,000. 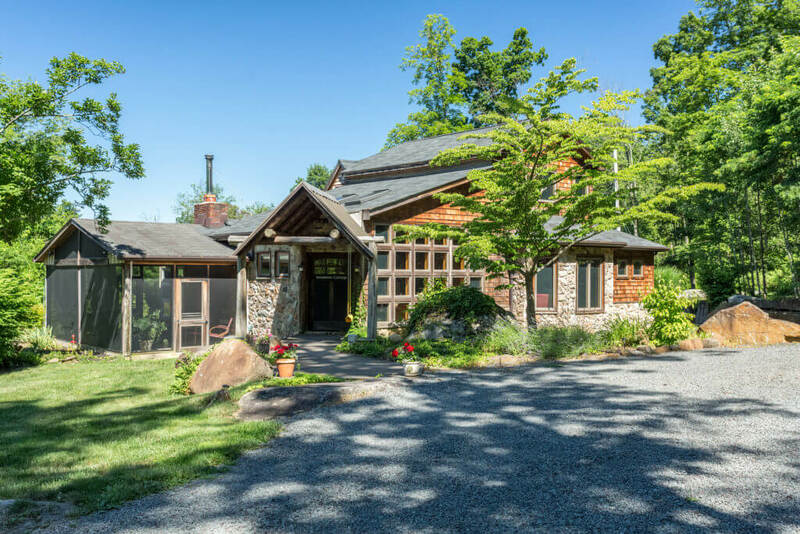 If you like Creekside Cottage, you really owe it to yourself to also visit Upper Black Eddy’s Sundance Cottage, also listed by Michael Strickland. Here is yet another spectacularly sited property with 14.6 acres, an Arts & Crafts-style main house with plenty of wood and stone, a cook’s kitchen, lovely grounds, garage with a second-story space for a potential guest house and more. Offered at $685,000. 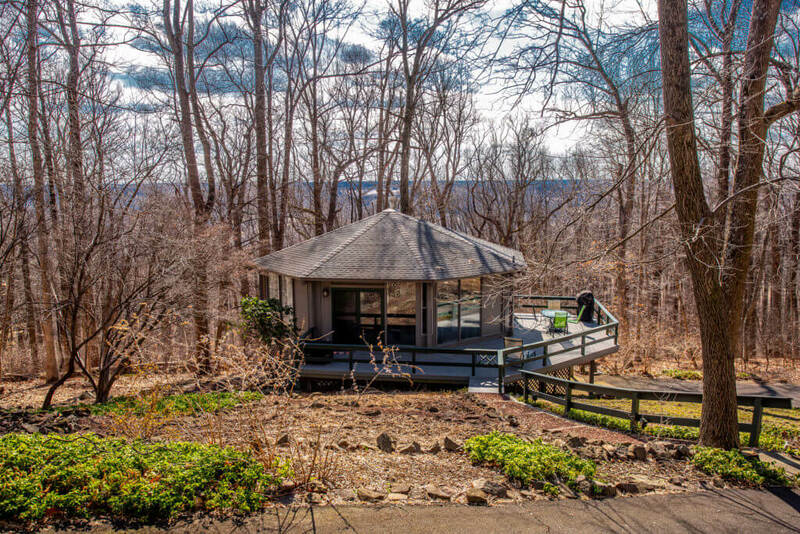 A bit farther south is an octagonal, glass-walled “treehouse” on Solebury Mountain with long-distance views stretching across Solebury Township. A great getaway for city folk who want to immerse themselves in nature, this house fills with sun through the winter and offers privacy in summer. There are two bedrooms and two baths. Energy efficient windows, a remodeled kitchen and wraparound deck enhance the offering. This home, at 42 Solebury Mountain Road, will be open Sunday, April 7, 2:00-4:00 pm. Listed by Dana Lansing and offered at $439,000.